Jaeger-LeCoultre and Hermes are desk clock Hermes Atmos Clock.Well-known companies Jaeger-LeCoultre and Hermes developed new desktop clock Hermes Atmos Clock. Well-known companies Jaeger-LeCoultre and Hermes developed new desktop clock Hermes Atmos Clock. Note that the cooperation between the two brands began in the 20th years of the last century, when the first models were equipped with mechanisms Hermes Jaeger-LeCoultre. Continued cooperation of the two brands to the late 1970’s, when Hermes began manufacturing its own line of watches. With the release of new desktop clock Hermes Atmos Clock their cooperation again resumed. The new model has a spherical shape measuring 276 mm x 276 mm x 272 mm, which is composed of two layers of glass with mineral beads and carefully polished by hand. This area is created on the glass-production Les Cristalleries de Saint-Louis (brand was founded in 1586.) Top area is lined with white enamel finish. Diameter rodirovannoy supports – 172 mm, and the total weight of the clock is about 10 kg. Indication of hours and minutes by central hands in black, in the style of Dauphine. The original watch Hermes Atmos Clock collected on the basis of the manufacturing caliber Swiss Jaeger-LeCoultre 560a 15 stones. 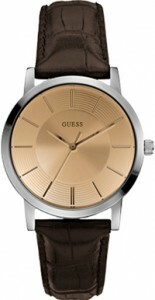 Equipped with a mechanism at 2 vibrations per minute, and display functions, hours and minutes. Winding caliber occurs through a sealed capsule which contains a mixture of gases expand when the temperature of the environment and shrink when it falls. The capsule is connected to a spring gauge and acts as an accordion or fur, carrying a constant winding mechanism.